During the conference, as the people were worshipping God, under the leadership of Brother Godfrey Kalungi, a cry went up in the midst of the congregation. A young woman in her thirties, who was blind, began to rejoice that God had restored her sight. Pastor Ernest invited her to come to the platform to give her testimony. Her family had encouraged her to go to a witch doctor, but she refused. She had seen posters announcing the conference, and made up her mind to go. 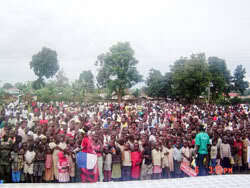 As she was worshipping God, her sight was restored. She asked Pastor Ernest if she could get on her knees on the platform to give thanks to God. He gladly agreed. The lady knelt down and poured out her heart in thanksgiving for the miracle which God had done in her life. There was great rejoicing amongst the 600 delegates, as God had once again confirmed his promise of Ex 15v26 and 1st Peter 2v24. Praise God. 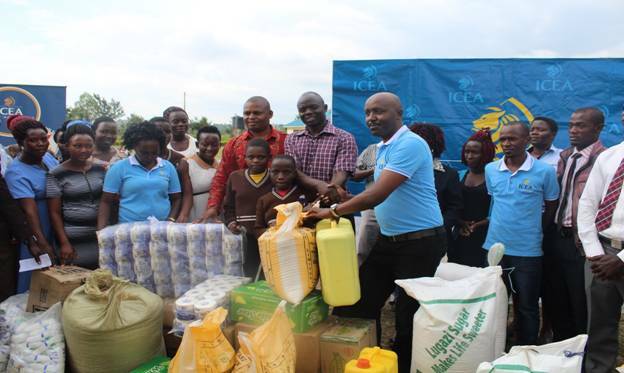 On Thursday the 15th of July 2017, ICEA insurance company donated food items to MFH worth Ug. Shs. 2,600,000 9Two million six hundred thousand only). 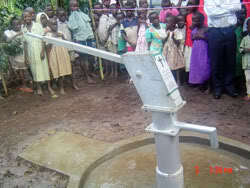 The donation was part of the company’s commitment to social responsibility. 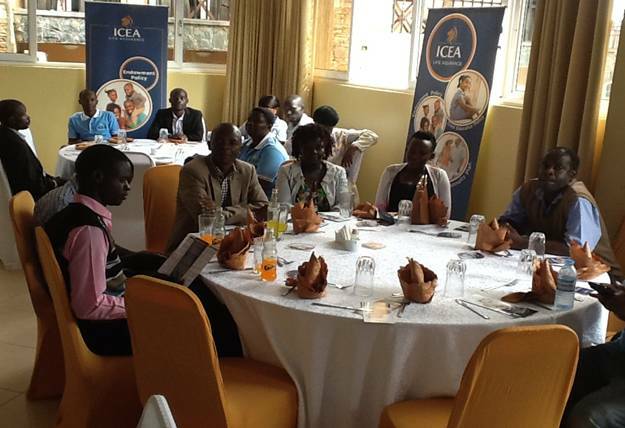 The team was led by Mr. Jackson Muli, the Managing Director of ICEA Uganda. 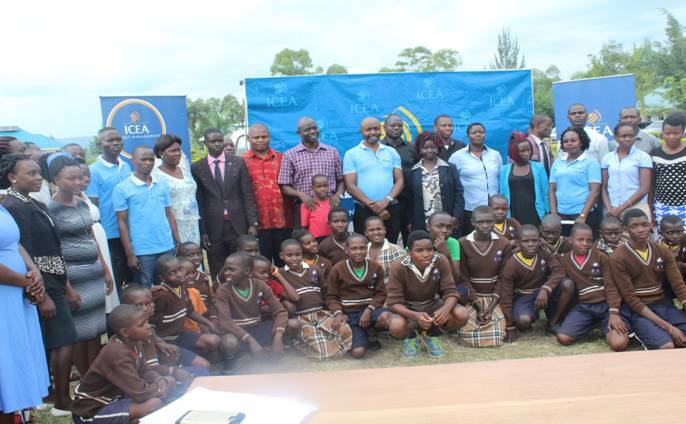 Also with the team were 9 media houses which included 4 national televisions and 4 FM stations. All these events were covered live on the TV stations and radios. The staff of MFH where then invited for a dinner by the Insurance company after the official opening of their offices in Mbale town on Friday the 16th. week, he was out and about, putting on weight, and rejoicing in what God had done for him. Name of Jesus" and immediately the pain was gone. had no children and this was causing her much disappointment and distress. Would Jesus help? We prayed with her and asked God to make her womb fertile. daughter, weighing over nine pounds. remaining ulcer. Her mouth is now ulcer-free. Praise God. 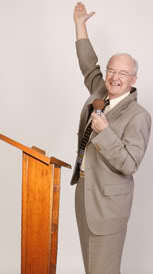 healing Power of God touched the man's stomach, and he left the service pain free. God tells us very clearly in Scripture, that if we are obedient to Him. At a house meeting held in Upperlands Northern Ireland on 17th March, a young lady came forward for prayer. She had severe acne on her face and over her body. We prayed with her and the Holy Spirit obviously touched her. There was no immediate change, but the following morning when she awoke and looked in the mirror all the spots and blemishes were gone. She came rushing down stairs, declaring to her family that God had healed her. To Him be all the glory! At the same meeting another lady, who had been suffering from ME for over a year, came forward and asked us to pray for her. 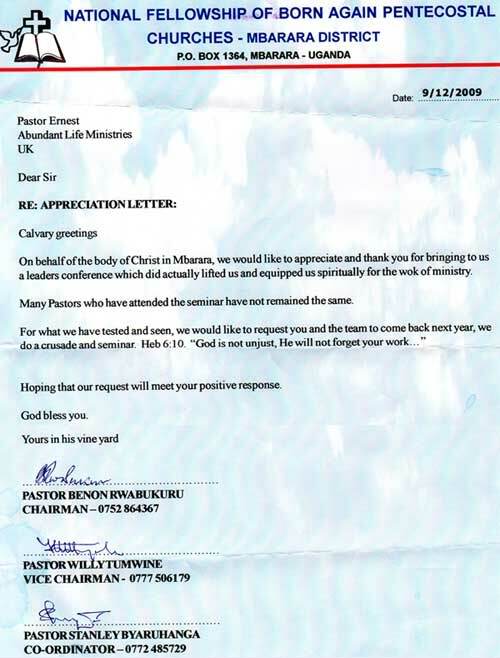 Approximately 3 weeks later she called the family who had organised the meeting to say that she had been completely healed. Praise God. 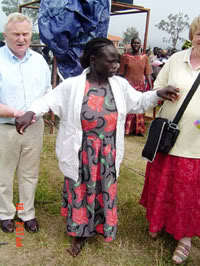 She was not a Christian, responded to the altar call given at the end of the meeting, and committed her life to Jesus. Hallelujah! Both of these miracles confirm that God's Word was immediately at work in these two ladies, even if the results were not immediately apparent. Mark 11 v 24 tells us that when we pray, if we believe we have received our request, it is ours. God's Word is mighty to heal.